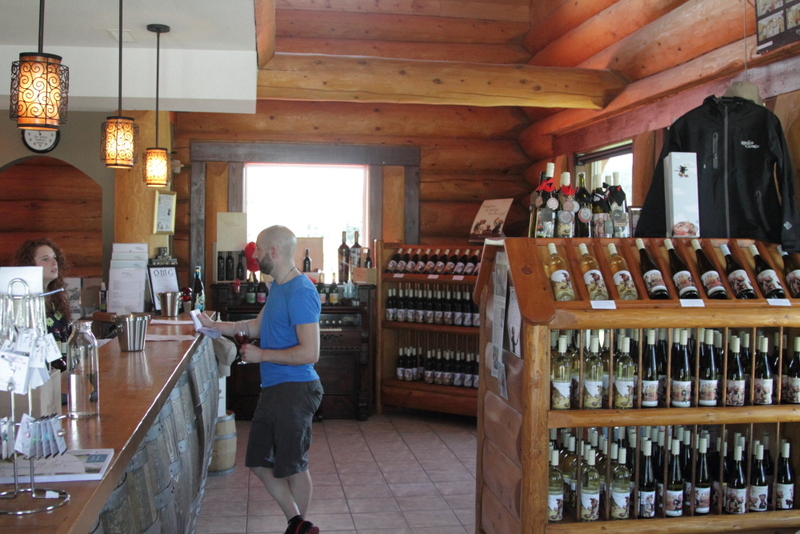 Blasted Church: Canada’s least stuffy winery? 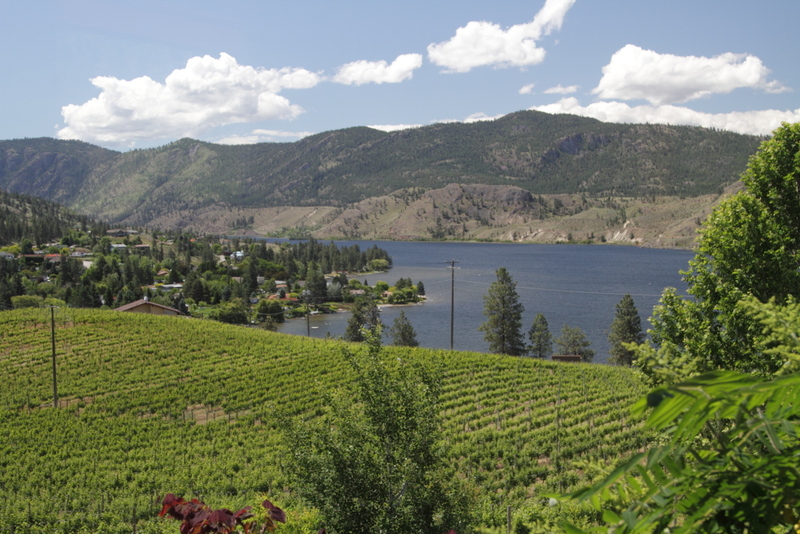 If there were a prize for being British Columbia’s — maybe even all of Canada’s — least stuffy winery, surely Blasted Church Vineyards would be a shoe-in for the honour. From the names they give to their wines (Swear to God, Mixed Blessings, OMG) to their distinctly un-winery-like website and their plugged-ing Twitter account, Blasted Church is the sort of wine company that can do something that would paralyse many others with confusion: communicate to the casual wine drinker who doesn’t buy into the snobbery game. My journey to Blasted Church was spearheaded by a British friend’s request for a bottle of wine. A bottle of Big Bang Theory, to be precise. While travelling western Canada a couple of years back, he tried the wine and decided he liked it — but sadly it isn’t available in the UK. So when he heard I was going to be in the area, he asked me to bring some back. Now, any wine drinker will know that carrying a bottle back in your suitcase is a big commitment. This space comes at a premium in my life and I normally only reserve it for wines that *really* want to bring home with me. But considering this friend did the noble act of lugging a bottle of shiraz back from Australia for me earlier this year, it would have been churlish of me not to oblige. If you thought branding suggested poor wines, you will have to think again. It has won over plenty of critics for its white blend, Hatfield’s Fuse, and seems to do well with its red, too. Hatfield’s Fuse was a bit of a surprise. Looking at the packaging and the price tag, I had few expectations. In the same way I am sceptical of all critter label wines, I don’t really have high hopes for cheeky branding or silly labels. More often than not, the branding makes up for serious deficiencies in quality (Yellowtail, anyone? ), but in the case of Blasted Church, there are some real gems at fair prices. Hatfield’s Fuse is loaded with peaches, pears, limes, apples and other fruits. This is because it is a blend of at least nine grape varieties. Nine you ask? Yes, nine: chardonnay, ehrenfelser, gewürztraminer, pinot blan, pinot gris, sauvignon blanc, riesling, optima and viognier. 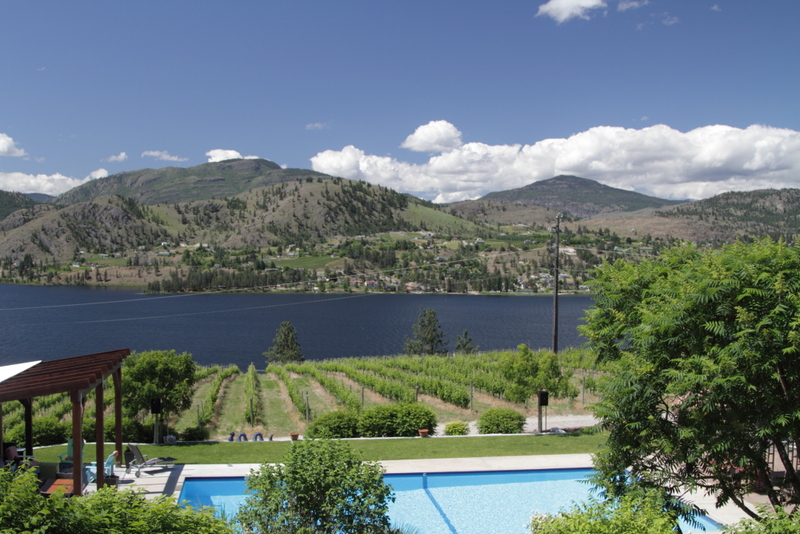 We’re in the Okanagan, after all, and the growers here still think they can grow everything under the sun. At least when it comes to this wine, it has worked for the best. Meanwhile, its light and simple Big Bang Theory is another confusing blend of several varieties, including pinot noir, merlot, lemberger, cabernet franc, malbec and syrah, and produces a fruity, enjoyable wine that is perfect for unfussy occasions. 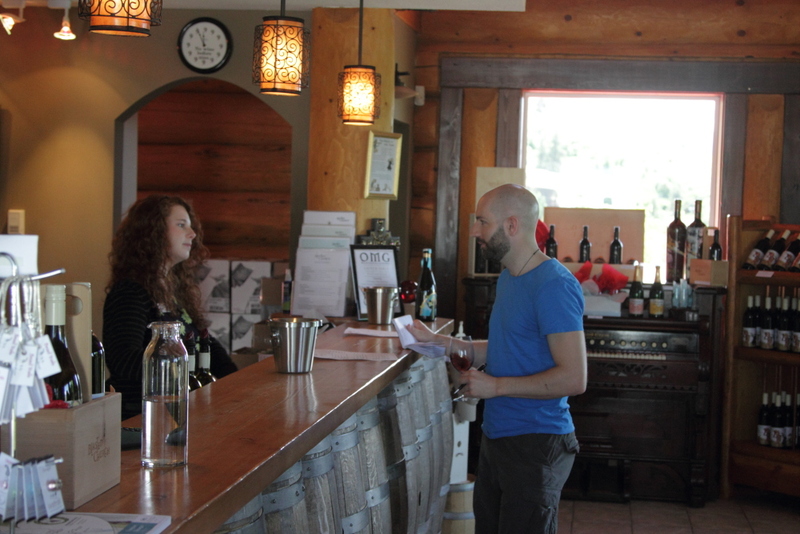 Nevertheless, I wasn’t blown over by all of this winery’s offerings. Hatfield’s Fuse is a bright spot, mixing more grapes varieties than can be remembered into fairly priced bottle. But I was let down by their Syrah, which seemed too smooth and safe for a region that needs wines to be daring and different. Their Sauvignon Blanc 2012 was in the style of the Loire, offering a simple and fresh palate at a good price, but it wasn’t a revelation. Meanwhile, the Mixed Blessings 2012, a blend of viognier, chardonnay musqué, chardonnay and ehrenfelser had a musky note of gasoline, stone fruits and a floral, peachy note, as well as that buzzword we’re mentioning these days: minerality. It was particularly enjoyable. I was also given the chance to try the rather expensive but interesting Amen Port-de-Merlot NV. This was a nutty, oxidised sweet wine that was loaded with toffee/caramel on the nose and red fruits on the palate. It had a mouth-coating effect, but it was fairly light overall. It was sweet and the finish was long. Overall, Blasted Church’s wines are fairly decent, but they have their limitations. To an extent, this winery is more about being unstuffy than producing incredible icons, which means it might be a good idea to look elsewhere if you want something special for the table on Christmas Day. Despite their theological theme, this is not a pious outfit. For the most part they make wines that bring a bring a smile to your face at a reasonable price, rather than fleece you on something that has been dressed up as something it is not. And that, in itself, is a virtue. For more on Blasted Church and an assessment of its 2011 vintage, check out John Schreiner’s wine blog. And finally, if you want more topics that take the stuffiness out of the wine market, head over to the 12×75.com blog.